Morehead Manor Bed and Breakfast is thankful to be located in an area with so much important history. The Bennett Place Historic Site is a simple farmhouse that was located between Confederate General Johnston’s headquarters in Greensboro and Union General Sherman’s headquarters in Raleigh, North Carolina. In 1865 the two officers met at the Bennett Place, where they signed surrender papers for southern armies in the Carolinas, Georgia, and Florida. Today the James Bennett’s reconstructed farmhouse, kitchen, and smokehouse recall the lifestyle of an ordinary Southern farmer during the Civil War. The Bennett Place State Historic Site is located at 4409 Bennett Memorial Road in Durham, NC 27705. Commemoration of one of the final major events of the 150th Anniversary of the American Civil War on the actual site of the Bennett Farm where Major General William T. Sherman and General Joseph E. Johnston met on April 17, 18, and 26, 1865 to reach a peace agreement and begin the reunification of our nation. Event activities include the reenactment of the surrender negotiations, military and civilian living history programs, sutlers and artisans, ceremonies, music, and the final stacking of arms for the Army of Tennessee, CSA. Noted historians and authors will make presentations throughout this week long event. There is an Admission Fee, which will vary for different activities throughout the week long commemoration. There are plenty of fascinating demonstrations, exhibitions, and activities during this week-long commemoration. 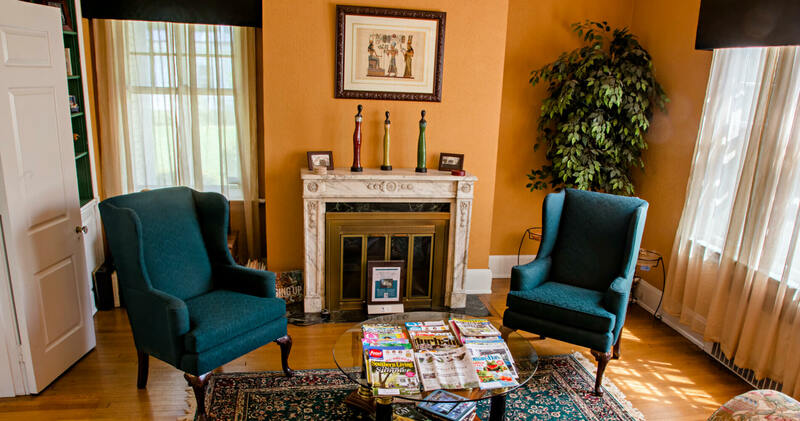 If looking for an elegant place to stay during your visit, think of our Durham bed and breakfast. According to Black Enterprise magazine, Morehead Manor Bed and Breakfast of Durham, North Carolina is the number one black-owned bed and breakfast in America. We are thankful to have shown our warm Southern hospitality to so many wonderful guests over the years. The Bull City is a great place full of exciting entertainment and fabulous food. Take your special someone our lovely and romantic Durham bed and breakfast. Be here to celebrate the 150th anniversary of one of the last events to take place during the end of the Civil War in America. This entry was posted in Uncategorized and tagged 150th Anniversary, Bennett Place Historic Site, Bull City, Civil War Surrender, Durham bed and breakfast, hospitality, Morehead Manor Bed and Breakfast, Tastiest Town of the South by admin. Bookmark the permalink.